I know you’re all wondering, dear blog readers, so here we go — I’m going to address why good writing gets rejected. It has happened many times that I get a great story, full of believable characters, with good voice, and one that’s well-written. Sometimes I jump all over it and offer representation. Other times, though, I hesitate. These end up being the most difficult decisions for me. Why do I hesitate? Because this is the thought in my head: I really like this, but can I sell it? This, my friends, is why manuscripts get rejected — even when agents love them. Why good writing gets rejected: even if it’s good, does it have market viability? In other words: Is there a larger market for this? What do I think? Will publishing houses agree with me and buy this? Why Good Writing Gets Rejected: Is There a Market for Your Story? And this is a very difficult thing to say for sure. TWILIGHT was rejected by a dozen or so agents because, I bet, most people didn’t see a market for teen vampire romance. They were wrong. Very wrong. This is one reason why manuscripts get rejected — the inability to predict unpredictable market trends. If agents had crystal balls, Stephenie Meyer’s first manuscript would’ve been snapped right up. Since I don’t have a crystal ball, I talk to editors and read publisher catalogs, follow publisher and librarian blogs, read industry publications, go to trade shows, the whole shebang. I also stop into every book vendor I see (from the neighborhood indie to big box stores to the airport) to browse and see what books are on the shelves there (what books that store is selling and keeping in stock because that store sees demand for those books). I see what queries I’m getting in and listen to rumors about the next big thing. Even with all this research, I don’t know everything that will succeed in the marketplace. Some books that I’m sure will sell, don’t. Other books that I’m iffy on, go to auction. The most I have is an educated guess, a passion for the project and a gut feeling. It’s persuasive but not guaranteed. That’s what makes the “why good writing gets rejected” question so difficult. Even if I love it, there’s still a voice in the back of my head: “Can I sell this project? Is there a market for it?” When my gut and my market knowledge tells me “no,” I tend to waffle and put the rejection off anyway. Because it is — technically — a good book, and I don’t want to let a talented writer go. But it’s that last detail of selling it to a publisher and eventually getting it into the hands of readers (you know, my job) that prevents me from taking on every single good book that comes into my inbox. The great thing is, there are many agents with many different sensibilities. So if you’re trying to crack the code around why manuscripts get rejected, the answer might be to just query another agent. There are the types of (sad) agents who passed on TWILIGHT because they didn’t think they could sell it. Then there’s the one who took it on and is very much enjoying that decision. When I see a good book but decide that I can’t personally see a way to pitch it or imagine which editors will love it and buy it, there’s another agent out there who probably can. When you hire me as your novel editor, I’ll push you to produce a piece of work that balances emotional resonance with commercial appeal. Thanks for addressing this issue! Rejection is the most bitter pill to swallow for me as a writer new to the publishing process. But just because something is rejected, doesn’t mean it’s bad at all. Or poorly written, slowly paced, or a dire crime against humanity. It’s all about taste. I can walk into B&N, look at thousands of books, and still not find one that appeals to me, so why do I expect everyone to love my book as much as I do? And it will make finding the right fit all the sweeter. I bet it’s so tough when faced with great work but the possibility of an inability to sell. . . I like how you said it, “…educated guess, a passion for the project and a gut feeling.” I really think passion is important. If you’re not passionate about a project or a writers voice, how can you sell that? I understand your dilemma. You never really know what people will buy or what the publishing houses think will sell. One thing I’ve noticed lately on the YA front is that if you ask YA readers, particularly of the teen market, what they’ll read/buy, it’s a lot different than what’s being published currently (aside from Twi-mania). It’ll always be a moving trend because people’s tastes change, too. Excellent! By chance I blogged about this earlier today. http://helpineedapublisher.blogspot.com/2010/01/walk-like-editor-and-agent.html Hope you don’t mind if I include the link, but it is v relevant to your post and you are on my blogroll! In fact it was a commenter on mine who pointed out that you’d just blogged about it too. Are we all thinking about rejections at the moment?! So here’s a question that probably doesn’t have a very concise answer: Where is the line between ‘marketable’ and ‘been done’? I’m getting supportive passes on my post-apocalyptic YA (as well as plain rejections) In one of supportive passes the agent told me that he already had a client working on a post-apocalyptic and he felt he had to remain devoted to them. He also said that my YA was ‘a great mix of smart and marketable’. I understand the concept of ‘been done’. I surely didn’t write my YA because Hunger Games was a hit, I was working on mine before that came out. And of course, everyone wants to think their work is marketable. But even being passionately in favor of my own work, I just can’t say that there are enough post-apocalytic YAs out there to say that it’s ‘been done’. Not in my own opinion. Look at all the vampire related topics on shelves today, and they’re STILL coming out, a good number of them as debut authors it seems. Hasn’t vampire/werewolves/and so on and so forth ‘been done’? Where is the line? IS there a line? Or is it an illusion? As a writer, it’s good to know rejections don’t JUST come from simple dislike, or writing that bores someone to tears. But my question to you, however, is this: if you love somone’s work/voice, but you don’t feel you can sell this particular project, do you tell them that’s why you’re rejecting it? Do you give them encouragement to find a topic to write about that you CAN sell, to potentially keep the line open? As everyone here knows, most agents either don’t reply when they don’t want to represent your work, or they send a form rejection. I know I’ve asked you this before (and you did plan to post on it), but if you don’t know what’s broken — you don’t know what to fix. I for one — with my dream agent in mind — would write about a topic the agent would want, just so I could land them. If they believe in your work, why not!? What do you think, Mary…can we start a new trend? lol. Yes, it’s Monday…and I’m starting my week off on a “hopeful” note. Brandi — This is actually very poisonous thinking. The best books come from a writer’s deep connection to a topic or story (unfortunately, it also does have to be marketable). So me telling a potential client what to write about or knowing that someone wrote a project because they thought it’d interest me is a huge no-no. That project’s not going to have any passion in it because it didn’t come from the writer. I don’t even tell my clients what to write. If they bring me several ideas, I tell them which ones sound most saleable, but the idea has to be theirs. A — Will do a post about this. Back to your original post Mary – when we do send you the next Twilight, which I personally am hoping is going to be a soulful, pastlife psychic realm hopping romance:), God help the writer who breaks the cardinal rule of query letters -never compare your work to someone else’s, i.e. never mention the T word or any other book title in your query. The work we query must stand on its own and its our job in our query letters to show how it is marketable all on its own, right? Great Post. Again emphasizes how subjective this process truly is. I for one don’t get the whole Twilight phenomenon, but obviously I’m in the minority. You can talk about anything in your query but yes, do try and differentiate your project from others in the market and give reasons why it will succeed, if you can. Also, a huge part of the query is to pitch the story itself and to MAKE ME CARE about it. I will never get tired of saying that. As much as it stings, it is much better to have an agent reject you for the right reasons than take you on for the wrong ones. I was just reading on Guide to Literary Agents about how author Heather McCorkle had to part ways with an agent because they took her on but weren’t ready for her stuff. What a depressing roller-coaster ride! I’d much rather have an agent take me on only if they were confident they could sell my work. Thanks for a great post, Mary! Interesting discussion. On the flip side of this topic, what if a manuscript is lacking a little in one aspect of the writing (obviously not so bad as to make it automatically rejected), but is really marketable, how likely are you to take it on? Or does a truly marketable project need to have all those writing aspects done perfectly right away for you to consider it? I imagine this varies from agent to agent, but I wondering about your thoughts, Mary. I tried to write what I thought would be a ‘marketable PB.’ Even though the result was a relatively good story, I still don’t like it enough to even bother polishing a query so i can try to land an agent with it! I think I’d rather be rejected for work that I love than try to produce the kind of stuff I don’t even bother to check out of the library. Yes, I probably will die poor and unpublished. But I’ll have remained true to my passion, darn it! Thanks for your passionate and inspiring post. It’s nice to know that rejection is hard on all ends! Thank you for posting this, Mary. I wish I knew how to send you a manuscript with “perfect fit and passion for Mary Kole” stamped all over it, all over every page, every single page. I’m sure some agents passed on, Twilight because it wasn’t written all that well, even though it was an interesting premise. When it went through my fifth-grade class like wildfire, I decided to see what the fuss was about. After reading the first book, I could see the fuss, but wished it didn’t drag on and have so much repetition. By the second book, I didn’t see the appeal at all. I guess it’s good that I’m not an agent. Gail — I appreciate your kind words but do go up and read my comment to Brandi, above. Theresa — Shh. I am specifically trying to avoid saying that TWILIGHT is poorly-written. Because I know that if it came to my inbox, I would’ve probably passed, laughing, after the first ten pages. I was just wondering, like Brandi: do you tell the author exactly why he or she is being rejected in a case like this one? Thanks! Juliette — In these cases, yes, I do go into more specifics. If you receive a form rejection, that means, 99% of the time, that the writing isn’t strong enough. If I do take a really close look at your work, I do go into more detail. Most of these difficult rejections also come after I look at a full, and those rejections always have more detail in them. I do apologize if I hit the wrong nerve with my comment earlier. We all work/write/create differently. I’ve worked in PR and Marketing for 13-years, so I’m one of those people who is given a subject/idea daily, and I have to write about it. For me, I’m passionate about writing, not just the subject. I do understand what you’re saying, but there are those of us who can write about ANYTHING if we want to. 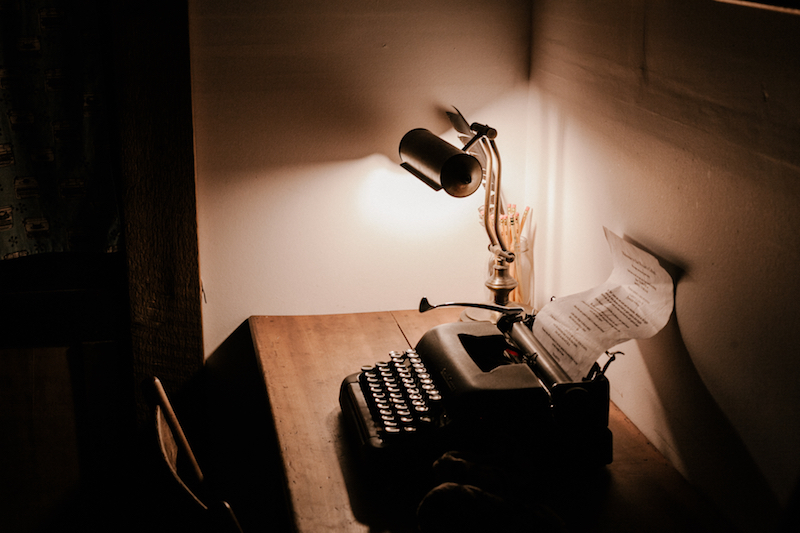 I don’t think it’s a bad thing to want to write something you know an agent is looking for, if you feel you would truly connect and work well together. The working relationship is just as important as the writing. At the end of the day, we’re all doing our research, trying to find our dream agent. So I would hope, at the same time, we also feel passionately about what the agent represents. I certainly wouldn’t query an agent who’s looking for the next best erotica book out there, and write it simply because they ask for it. The agents “I” query, represent ONLY genres I like — or would write myself. Sometimes, inspiration comes from unlikely, or suprising places. Sometimes, hearing someone say, “I’d LOVE to find the next TWILIGHT”, will give a person an idea for a book they’ll love more than anything else they’ve ever written. You just never know. Brandi — Sure. I just find that the best stories come from something deeply personal for the author. TWILIGHT was the story Stephenie HAD to write. It’s this personal connection that usually gives rise to strong voice. At least for breaking in with your own work, I think that’s important. And for me, as an agent, the writing is hugely important, and only then do I even begin to think about a working relationship with the person. Relationship is important, don’t get me wrong, but I can’t sell an editor on my great working relationship with the client. I sell the book and the writing. I love it when agents list things they specifically like. And especially if they have a wish list like you have. Then it’s a better feel for what they like and what they think they can sell. There is probably no nice way to say it’s not marketable. I know I didn’t want to know when I’ve been told. It’s like being told your son or daughter is stupid and will never make it into college. These are people’s babies they’re putting out there, they care about the book regardless if the world does. I know I’d smack a stranger if they told me my babies were ugly or stupid. So I suppose it is best when agents just say “not for me” when selling is the problem because someone else might have just the right vision for it later. If you as an author think there’s something wrong with it beyond salability, hire a savvy set of eyes. Kate diCamillo is another one that had “unique” books that many agents felt they couldn’t sell. Mary, I completely understand. The series I’m working on is driving me nuts until I get it out of my head. It’s consumed my entire life (no joke) for a year. Will I be as passionate about my next project? Maybe not to the same extreme as this one, but I’ll still love it — because it’s coming from my heart, even though the idea was inspired by someone else. One day, I’d love to be one of those people who’s writing/voice you connect with….even if you don’t think the material is something you could market just yet. And no matter what…I will still strive to do so. I’ve got nuttin’ but love and respect for ya, Mary — which is why, like many here, you’re my dream agent! While you have to offer based on the book that’s in front of you, I think a lot of “first books” never sell. I signed with an agent based on a book that didn’t sell after several submissions and is sitting solidly in a drawer today. Luckily, I had more than that book in me, and we sold Dirty Little Secrets a year later. Cynjay — Very good point. But I bet your agent believed that your first book would sell… based on the fact that it went out on submission a few times. I know that a lot of first books don’t sell, but I offer and submit and believe anyway, because that manuscript has so much potential. And if something doesn’t sell, I hold out for that client’s next project. But I will not take anything on that I don’t sincerely believe could sell, and I don’t put my name on anything I submit to an editor that I’m anything less than proud of. Great post! I was hoping to finish revisions on the next Twilight 🙂 in order to enter your contest this month — not sure I’ll make it but if not, I’ll look for the next contest. Thanks so much for all the great, informative info you post here. isn’t there a fine line between “I think I can sell this” and “This is safe”? I’m not sure what the difference is between doing something Different and doing something that’s unsellable. good, solid writing clearly isn’t enough, is it? the manuscript has to possess some mysterious “spark” that catches just the right agent/publisher, doesn’t it? I’m just wondering. If the work really is good, do you tell the writer why you said no and ask to see their next project or just send the usual rejection letter? I imagine, even doing your best to research and monitor trends, there’s going to be that manuscript yet to be discovered or taken on by a agent that will be the one to START the trend. In that case, it I guess the agent has to go with their gut and if the writing is strong and compelling enough, take a chance and be pleasantly surprised to luck on to the next Twilight-current trend in evidence or not. Fivecats — It’s really hard to answer because, at that point, it really is all about that unique manuscript and that unique person considering it. But yes, I’d argue that special spark and “x-factor” are going to play a huge part. Why write something without spark? Jodie — As mentioned, I do go into quite some detail at this stage and, yes, do usually open the door for them to submit again with another project. I just wanted to say–thank you. This post is an encouragement to all of us out there who know our writing is good, but perhaps are not writing in the vein of what is hottest right this very second. Thanks for giving us the hope that someone, somewhere, will see how our project can work. If we just keep at it. I’m so glad you addressed this. It makes perfect sense that agent only take on projects they adore. Conversely, why would an author want an agent if they agent didn’t love their work? Rejection is tough. But it’s not always a bad thing. Sometimes, feedback from a rejection illuminates flaws that need to be addressed. I’m grateful for every rejection with a scrap of insight. After all, “getting published” is not my endgame focus. Yes, publishing a book is a goal. But…I’m interested in growing and learning enough to write something worthy of a place on the shelf. Someday, if I accomplish the impossible, I’ll look back and be grateful for the rejections which helped me improve. It’s all good. Enjoy the journey, right? I received solid advice when I first started down Query Road: your work is not your baby, it’s your product. It’s your work product, period. Rejection is a given, regardless of effort, craft, story. So, the sooner a writer de-romanticizes the process, the better. Looking at the query process this way takes out the sting, and in doing so, keeps a writer able to keep subbing even through the rejections. That’s what I found to be hardest: the day-in, day-out belief in yourself in the face of professional rejection. I agree with an earlier post– how did Twilight get so popular? And since I’m on that topic, people say Stephanie Meyer is a horrible writer. So I guess this means that young adults care more about storytelling than writing. I think this is something that literary agents should think about more before they reject someone. Leiann — I’d like to pop in and remind that TWILIGHT was a complete fluke. Notice how we’ve had only two literary phenomenon in the last more-than-a-decade: HARRY POTTER and TWILIGHT. The hooks for both — boy in wizard school and forbidden romance between teen and vampire — are what sold them. For the most part, manuscripts that have a high word count are grossly overwritten, hence the high wordcount. And just because a hit has a writing style that’s not very literary, doesn’t mean that we should try and put MORE poorly-written work into the marketplace. Again, everyone knows about TWILIGHT because it’s a one-in-a-billion phenomenon. What applies there doesn’t apply to every book and I’d hate to see people using TWILIGHT’s wordcount or writing quality as an excuse to not do their best work. It is mistaken to assume that rejections are quick or careless. They’re not. Mary, I have to say, your TWILIGHT comments are making me feel all sparkly. Bane — Somebody open a window and clear the air… bad TWILIGHT joke! I understand better about saying no to great books after I participated in a writing contest. We had to choose our top favorite stories. There were a ton of entries, and I got to where a piece had to GRAB me on the first sentence. I kept saying to myself this must be what editors and agents do. So now, when my next decline comes in, I’ll understand a bit better. And I’ll keep sending my queries out and keep writing. Jean Ann — Being on the “other side of the desk” is truly one of the most important, and humbling, experiences a writer can have. Their piece of writing — or the writing of their critique group and published books, of course — is usually all they know. But to see what an editor or agent sees — hundreds of manuscripts a week, thousands of manuscripts a year — is really eye-opening. I’m so happy you had that experience. Thanks for your honesty. I had never thought of an agent liking a project that she had to pass on. The marketplace is the ultimate decision maker, and I respect your ability to make those tough decisions. It’s comforting to know that being rejected doesn’t mean I’m a bad writer. I always fear that I’m like one of those people on American Idol who can’t understand why the judges are laughing. I don’t want to be that person! I just have to keep looking for that agent who will be my perfect fit. What is a writer to do when and agent really enjoys their work but passes? Obviously a form rejection tells you you’re way off the mark. If you are rejected because of an issue with the writing you can look at fixing it. But a rejection because the agent doesn’t connect with the story leaves a lack of direction. Do we leave our work as is and search for other agents? Do we assume the MS isn’t marketable and scrap it? 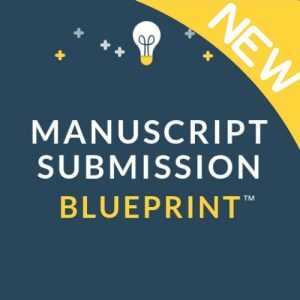 Do we consider submitting other another Ms to that agent in the hope it will be a better fit? And, if we did submit to that agent again (and got accepted) would he/she pitch the stories the he/she already passed on? If the agent works for a house we really respect, do we query a different agent there with a future MS because they might be more passionate about our work? Yes, these are the questions that rattle around in my head when I should be sleeping. I would appreciate your take on what the next step in the process is. Michele — Lots of questions. Will do a post about this, but probably not until February. Delilah says that rejection is the worst part of her writing experience. I say, to her, wait until you’ve been rejected for forty-five years, and then complain. Mary, this is all very useful. Thanks for posting it — seems that we all find some encouragement here. In our circle, the discussions about agent rejections has taken a different turn and I hope you’ll wade in. There are some in our group who wonder whether the process favors people who have a presence online — through a web page, a blog, or participation in a forum like this one. Their theory is that, as soon as the manuscript crosses the transom, the agent — or more likely, a junior assistant — does a quick research into the author through google. No online presence? Obviously this can’t be a serious writer in the 21st century. There are others among us who think there’s still some anonymity and that the agent — or the junior assistant — will read at least some of the work. If curious, then she may turn to google to learn more. So what actually does happen once the MSS comes to your office? thanks for this, it’s helpful to hear about rejection from an agent’s perspective. Thank you for a look inside an agent’s mind. As a writer trying to find an agent, I appreciate knowing a little bit more about how agents think. Your thoughts also reaffirm what I’ve heard many times before at conferences and workshops: Be patient and keep trying…finding the right editor/agent takes time and a little bit of luck getting your work in front of just the right person. It is always encouraging to hear that best sellers received rejections before success. Does the amount of editing required to bring the book to a state of submission play into your ultimate decision? Do you acquire books that still need a lot of work just because the story itself resonates with you? Kai — That does play into it but if I think the book itself has a lot of promise and if the story really, really works for me, I will take it on. If I think the issues are fixable and if I think, from talking to the writer and considering their writing in general, they are capable for doing a pretty good revision. Some writers have strong revision skills, others, not so much. There are so many factors to consider! It’s good to hear that sometimes, sending rejections is a struggle for agents. It makes me appreciate even more the personal rejection letters I’ve received, instead of the form letters. This makes sense – you really have to click with the person selling your work and representing your career. Thank you for the agent perspective. A great reminder that one rejection isn’t the end of the world, it’s a matter of finding the right agent at the right time. Informative post – I appreciate hearing a perspective from another side of the business. Although I know that someday my work will be a product, it just kills the creative joy for me to sit down and think about what will sell, and what won’t. I guess we writers just have to hope, that if we invest our passion into something enough, someone out there will respond in kind. Thanks for the great site, it’s a gold mine for novices. Wonderful post! Thank you for sharing this. It always helps to be reminded that a rejection isn’t always such a negative thing and that often, what might not work for one agent or editor will work for another. I also appreciate knowing that, as an agent, you want to be behind the project 100%. I wouldn’t want an agent to accept my manuscript unless they had no doubt they could sell it. That knowledge alone would give me greater confidence in an agent should one accept my manuscript. It was great seeing you this weekend! Thanks for a great information-rich talk at Agent’s Day in Newport. You are a gift to writers everywhere! Thanks for the info; man this business is cut-throat! I would think this is the exact instance where a web site like Inkpop could be useful to you. 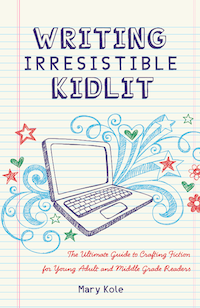 You’ve got a manuscript that you love, but you’re not sure how teens will react to it. If the manuscript had 400 favorable comments from teen readers on Inkpop, comments that were available to you to read, and was voted in as a Top Pick one month, would it help you in your decision? Would you take information like that seriously? Or would you discard it as just a variation on “my mother loves my book, so you should, too”? Great encouragement to keep trying elsewhere before you pitch your next project. Thanks Mary. Previous PostPrevious What Do Literary Agents Do?